Chapters have seen a 123 percent increase in enrollment in 10 years. Spring quarter at Stanford starts with the frenzy of fraternity rush. 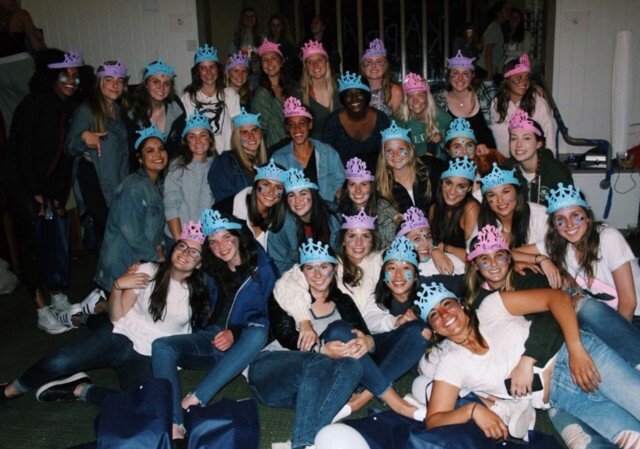 And sorority recruitment comes close on its heels with a four-day affair that, this year, began with open houses on Friday, April 13, and closed with bid day the following Monday. Interest in sororities on campus has been rising over the past decade. 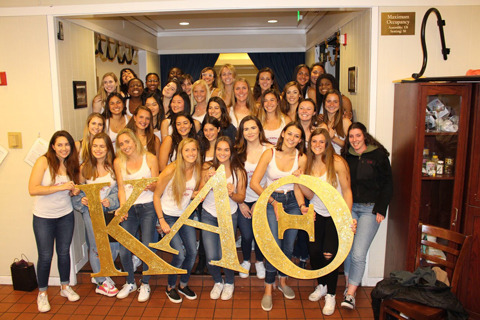 Last year, 308 women joined an Inter-Sorority Council (ISC) chapter at Stanford, up from the 138 who matched in 2007, according to Amanda Rodriguez, director of fraternity and sorority life. To keep pace with the increase in demand, the ISC added Alpha Epsilon Phi in 2007 (which folded last fall), reactivated Alpha Phi in 2011 and recognized Alpha Chi Omega in 2017. In recent years, the ISC has focused its efforts on diversity and on making Greek life more accessible to people from underrepresented socioeconomic and ethnic communities. True to its roots, Stanford seeks to strengthen community bonds.